Academic research in finance doesn’t often resonate outside of academia. 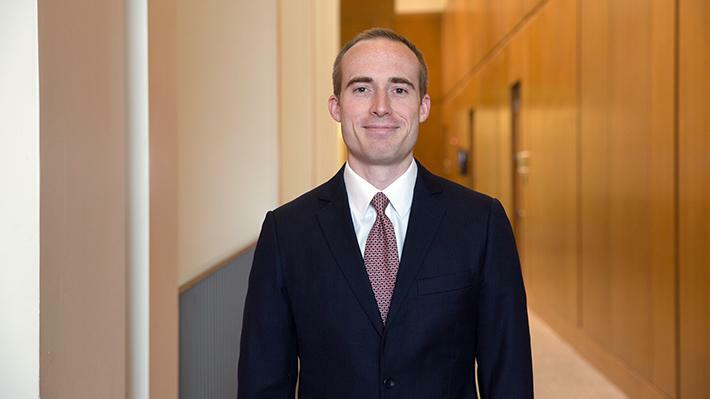 But a recent publication by Casey Dougal, assistant professor of finance, has attracted attention due to the wider social implications of its findings: namely, that Historically Black Colleges and Universities (HBCU) face discrimination when issuing debt in the bond market. Higher-education bond markets work in the following manner: When a college wants to issue some debt, they go to an underwriter, typically a large investment bank, which purchases the debt from the school at a discount. The bank then sells the debt to the public at more or less full price as municipal bonds, with the difference in price being what the bank charges as a fee for selling these bonds. “We found that when these underwriters try to place debt from an HBCU, they actually charge them a bigger discount, and they do this because it’s harder for them to turn around and find a buyer for the bond,” Dougal says. Dougal notes that his research typically looks at different behavioral issues in finance – what he calls “market imperfections,” areas where individuals upset standard, rational theory. Dougal and his co-authors examined these instances of discounts in the bond market around different times of racial unrest, though most were not statistically significant enough to include in the final paper. Ultimately, the researchers looked at the level of discount by state on 4,145 tax-exempt municipal bond issues, issued between 1988 and 2010 and totaling approximately $150 billion. “We show that the discount was largest where racism or racial problems are the largest historically: Alabama, Louisiana and Mississippi,” Dougal says. While Dougal and his co-authors have considered further analysis to identify racial animus in other markets, or in the municipal bond market at large, they haven’t started any new studies yet. However, the paper in Journal of Financial Economics identifies some potential solutions, such as a change in the tax status for municipal bonds issued by HBCUs, and Dougal notes that there were two bills sponsored in the U.S. Senate citing his paper as an impetus to this end.